One year, after receiving the prestigious "Merit Award" in Salzburg, Austria, awarded by the CIA (Confederation International des Accordeonistes), at the 2014 Coupe Mondiale, the talented musician and musical instrument developer, Luigi Bruti, has been interviewed by Holda Paoletti-Kampl. 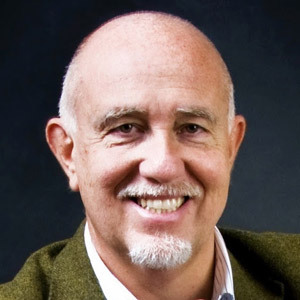 Luigi Bruti, Nomination for CIA Merit Award. Picture above: Luigi Bruti playing VIVO and XMURE App. 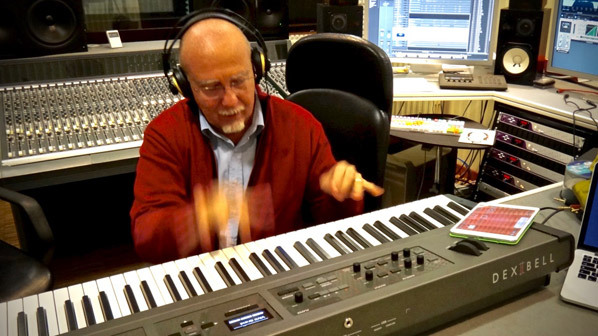 Q. Luigi, we have been meeting you around the world, promoting the Roland V-Accordion! Are you still in the musical instrument business? A. Absolutely yes. After the Japanese have decided to liquidate Roland Europe in Italy, I have been very busy driving a fantastic adventure inside a new company, born together with 12 fine and talented engineers (former collegues) as well as the help of the PROEL company. 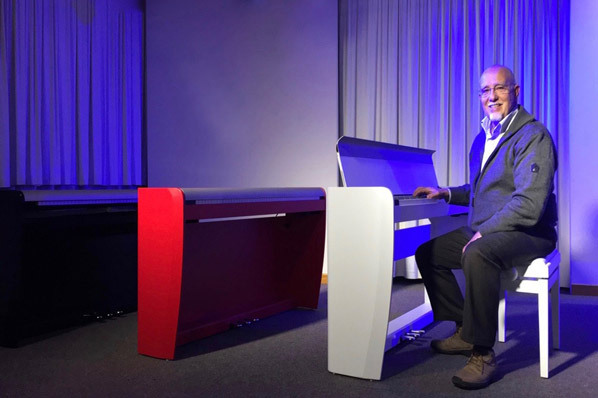 In DEXIBELL (this is the new brand name), we have completely re-invented the Digital Piano with a revolutionary technology and cool Italian design. Q. I know you have been always a pioneer and widely known for creating products that became milestones in the musical instruments industry.... I am curious to hear! A. Usually I like challenges and I throw myself only into more daring innovations. Probably you refer to all patents I have invented to realize the "World First Arranger Keyboard" as well as the "World First Digital Accordion with modelling technology". This time, with DEXIBELL, the innovation is even greater, believe me, it's gonna be something really different from "another Digital Piano". It's a completely new world you would never expect. I am really very very exited by the total result of this project, even greater than my original expectation. Picture above: Luigi Bruti working at the new XMURE App. Q. Can I know more about your exiting plans? A. 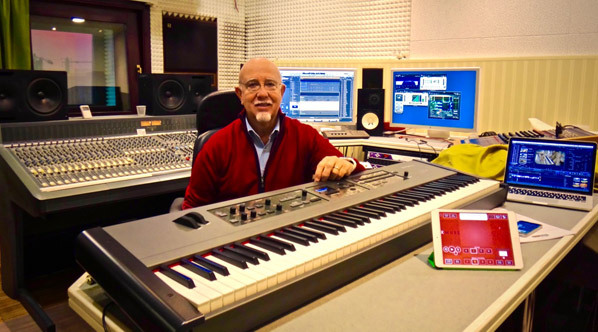 It is for sure a very competitive (*smile*) Digital Piano compared with all current existing products and software plug-in. 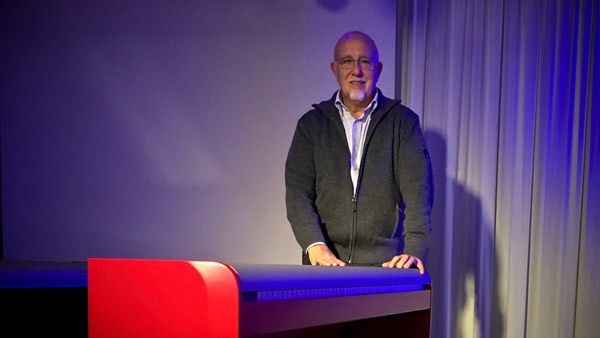 The new "VIVO" digital Piano line-up from DEXIBELL use a completely new technology called T2L (True to Life), based on interaction between Sampling and Modelling methods. The line-up is called "VIVO" because they are the first digital instruments "ALIVE", reacting to player articulation. There are many components such as sympathetic resonances, harmonics, noises, staccato sounds, timbre variances, real Sustain Pedal simulation etc. that build-up the total sound using 320 Oscillators with an unlimited notes polyphony. The quality standard has been raised-up to 24 bit - 48KHz with an average of 5 times longer than before, recorded samples (15" on lower piano notes), obtaining a dynamic range 256 times higher if compared with today available digital musical instruments and having an astonishing vitality of harmonics. Sounds are recorded with holophonic method for an amazing 3D listening experience. 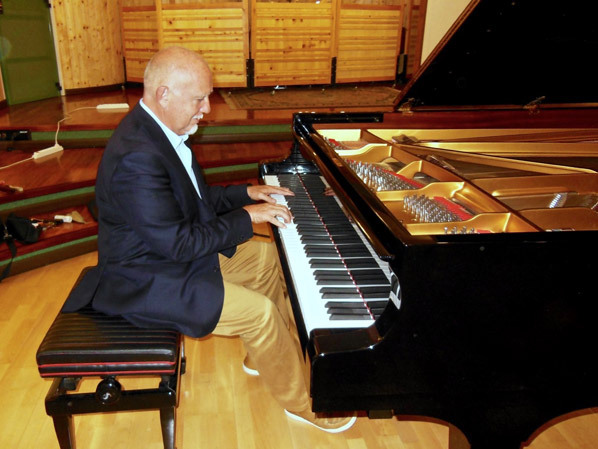 You can enjoy the best Grand Pianos, Upright Pianos, Vintage Electric Pianos and many more Sound Categories with the best quality and playability. I am sure, that artist or simply musician playing for pleasure, trying it for the first time, will be very, yes very surprised, as we have been working very hard to reach and produce something outstanding! Picture above: DEXIBELL VIVO Digital Piano Home models. Q. Well - this sounds fantastic... what about an approximate cost? A. Also prices will be most competitive compared with other major products. The 6 models in Home, Portable and Stage version at 88 and 73 keys are already in production with a complete Made, Made Made in Italy. Q. Why have you mentioned 3 times "Made in Italy"? A. Because we certify a genuine product "Designed", "Engineered" and "Manufactured" exclusively in Italy. 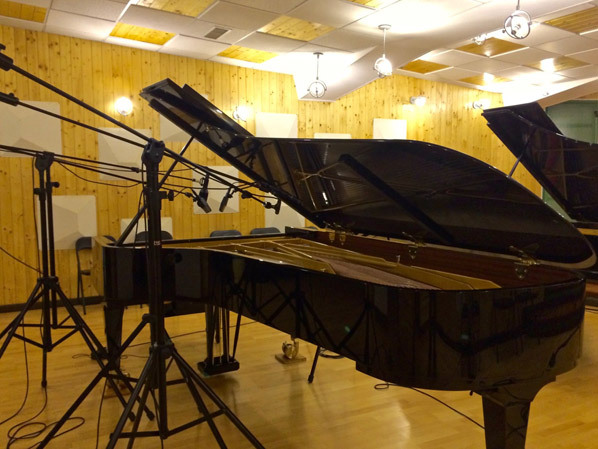 Picture above: During sound analisys of acoustic grand pianos. Q. Do you have any projects yet on where to present and launch your new instruments? A. Yes, next January, I will be in Los Angeles to launch the entire line-up during NAMM show; DEXIBELL boot will be #6690 on Hall A. This is not all; we will also spawn a revolution in "automatic accompaniments" thanks to our new patented technology. We will introduce an App for iPhone and iPad called XMURE with real audio accompaniments driven by live chord progression... something unbelievable with outstanding sound quality. Using XMURE with VIVO digital Piano, one can instantly and virtually join and enjoy jamming along with its preferred band. XMURE is also unique in the world ! 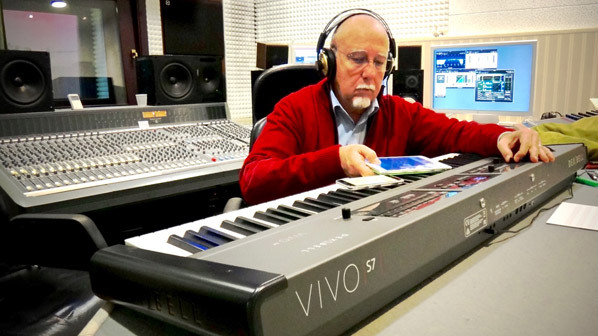 Picture above: Luigi Bruti testing the VIVO Stage Model in the control room of his Recording Studio. Q. Well Luigi - I am sure that many musicians around the world will find this new idea of yours very interesting and who knows - may stop in at your booth at NAMM. I wish you all the best of luck! A. Thank you Holda and also from my part all the best for AWW and all the great work you did on promoting the V-Accordion during my time at Roland. Who knows, with DEXIBELL new technology in the future we may think about how to contribute again at the international accordion movement. Luigi Bruti, 2013 Nomination for CIA Merit Award. Picture above: At a recording session in MR Studio.